An innovative project on mobile sensing and youth participation between Switzerland and Mexico will be presented on November 8 at the House of Switzerland in Mexico, Mexico City. The House of Switzerland in Mexico (Casa de Suiza en Mexico) is a temporary pavilion built in the heart of Mexico City by the official representation of Switzerland. The pavilion has been created to celebrate the 70th anniversary of diplomatic relations between the two countries, and was inaugurated on October 27 2016 as part of the activities framing the State visit of the Swiss president, Mr. Johann Schneider-Ammann. 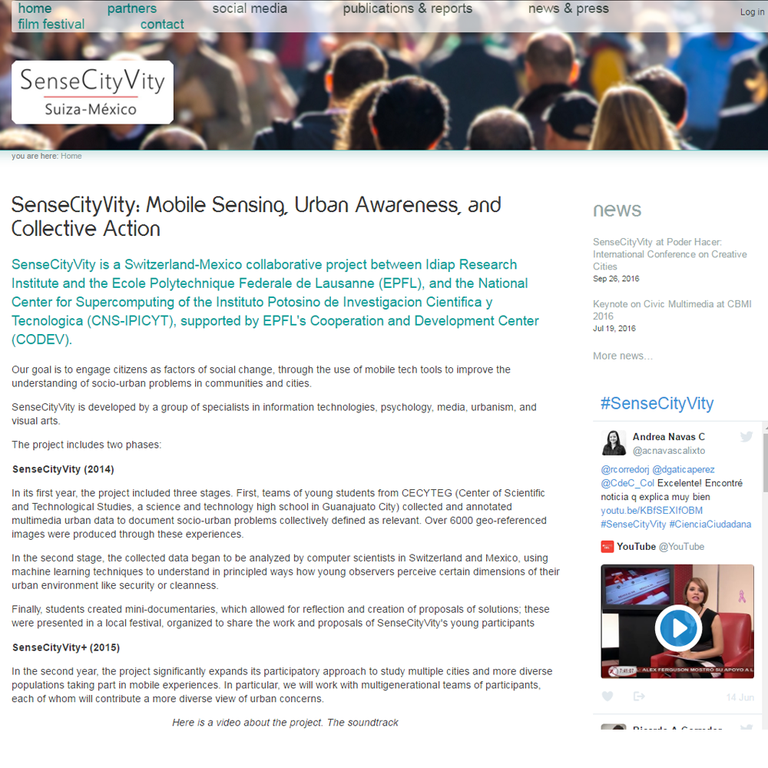 SenseCityVity is a collaboration between institutions in Switzerland (Idiap and EPFL) and Mexico (IPICYT). The project was originally supported by the Seed Money Programme of CODEV in 2014 and 2015, and by CONACYT since 2016. The project’s goal is to engage citizens as factors of social change, through the use of mobile tech tools to improve the understanding of socio-urban problems in communities and cities. 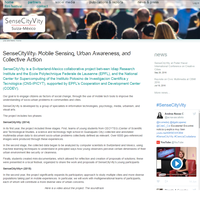 SenseCityVity is developed by a group of specialists in information technologies, psychology, media, urbanism, and visual arts. The project will be presented by our Mexican partner, Prof. Salvador Ruiz Correa (IPICYT) and other team members.